Staff Sgt. Joshua R. Whitaker, 23, was a Special Forces engineer sergeant assigned to 1st Battalion, 7th Special Forces Group (Airborne). He died May 15, 2007 during a firefight near Qalat, Afghanistan. Whitaker deployed to Afghanistan in support of Operation Enduring Freedom in March 2007. A native of Long Beach, Calif., Whitaker enlisted in the Army September 24, 2003 as a Special Forces candidate. After completing basic combat training, advanced individual training and airborne school at Fort Benning, Ga., he was assigned to Fort Bragg, N.C., for Special Forces training. 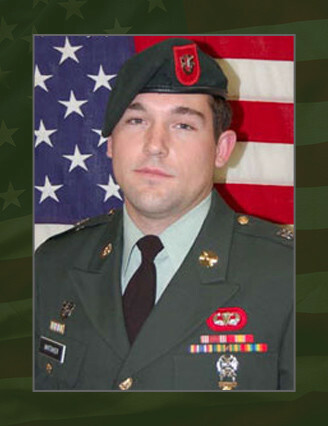 In August 2006, upon completion of the Special Forces Qualification Course, he earned the coveted Green Beret and was assigned to 7th SFG (A). Whitaker’s military education also includes the Special Forces Advanced Urban Combat Course. His awards and decorations include the Good Conduct Medal, National Defense Service Medal, Global War on Terrorism Expeditionary Medal, Global War on Terrorism Service Medal, NCO Professional Development Ribbon, Army Service Ribbon, Parachutist Badge, and the Special Forces Tab. He was posthumously awarded the Bronze Star Medal for valor, Purple Heart, Meritorious Service Medal, Afghanistan Campaign Medal, NATO Medal, and Combat Infantryman Badge. He is survived by his mother, Catherine Whitaker of Long Beach, Calif., his uncle, Robb Whitaker of Signal Hill, Calif. and his father, Frank Dougherty of El Monte, Calif. His aunt, Debra Whitaker and his cousins Rachel and Laura Whitaker, all from Signal Hill, Calif., also survive him.